I don’t know if I am more excited over the fact that DeAndre Brackensick has a new single out or that he has now shortened his name to DeAndre? I was hoping that the latter would have happened while he was still on American Idol – it’s not like there are any more DeAndres out there in the music biz. However, better late than never – welcome to your new life DeAndre! And, kudos for a mighty fine reggae-inspired single. Her Crazy highlights all the reasons why we love DeAndre – his falsetto-tinged vocal range, his stellar musicality, his soulful and signature vocal style all place him in a class of his own. So, what are you waiting for? Let’s jump-start DeAndre’s career! 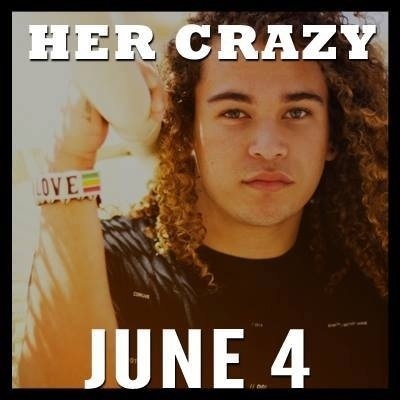 Download Her Crazy from iTunes now. Thank You MCL, I love it! Downloaded it and I am sure it will be my fav summer jam. Here is to hoping radio will play it. DeAndre has such a unique voice. I love his falsetto and the reggae essence of the song is perfect and fun. Here is to hoping this single leads to more music from DeAndre.